A full-blown trade war between B.C. and Alberta would be disastrous, but is unlikely says the Business Council of B.C. 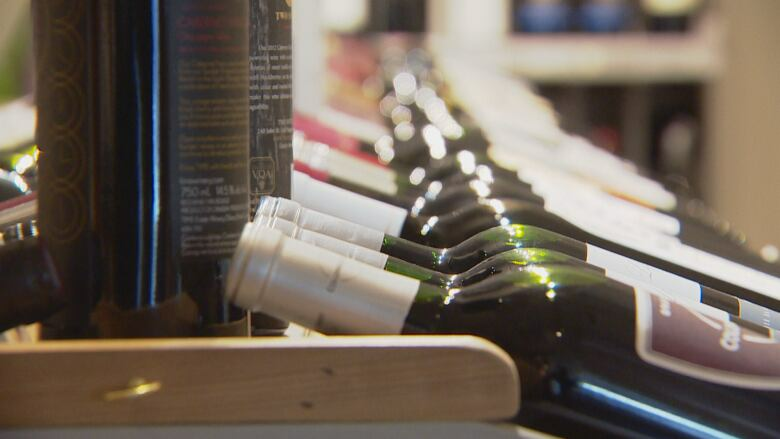 The recent trade dispute is blocking the wine trade, and according to Statistics Canada, B.C. 's wine exports to Alberta in 2014 made up less than one per cent of its total exports to that province. "Wine is a tiny, tiny sliver of B.C. 's total trade with Alberta," said Finlayson, who stressed the fact that provincial governments have much more control over alcohol trade than other goods. Provincial boycotts on exports other than liquor are much more complicated, he said. A breakdown in inter-provincial commerce would be disastrous, but is improbable in Finlayson's mind. "I do not expect to see the rupture of billions and billions of dollars in cross-border commerce, which would obviously be very negative," Finlayson said. "I don't think either government is going to go down that road." Finlayson pointed to Alberta's upcoming election next spring, and said the fact that NDP Alberta Premier Rachel Notley​ is behind in the polls has galvanized her effort to strengthen the province's oil industry. For that reason, Finlayson attributed the heated exchanges between B.C. 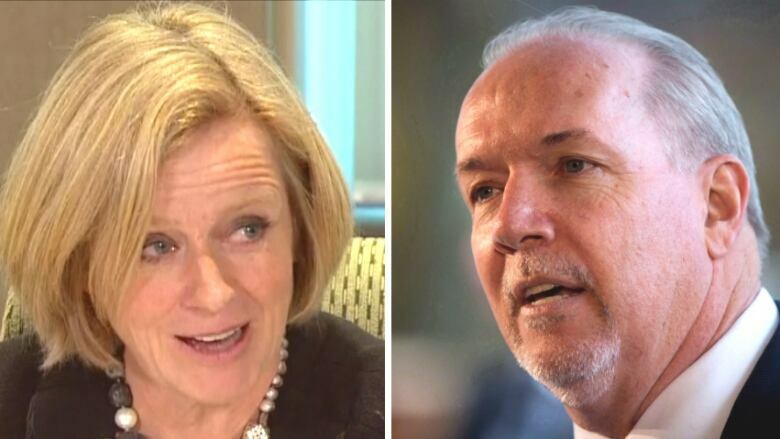 Premier John Horgan and Notley to political posturing. The trade dispute began when B.C. 's government said it was looking at rules to limit any increase in the import of diluted bitumen until an independent review concluded it was safe — a move that could delay construction on the federally-approved Kinder Morgan pipeline expansion project. Notley was quick to retaliate. First, she cancelled talks to buy electricity from B.C. Then, earlier this week, she announced an Alberta ban on B.C. wine imports, effective immediately. Horgan has shown no sign of capitulation following the boycott. "It's not the government's intention to respond in any way to the provocation," Horgan said on Wednesday. Finlayson said the Business Council of B.C. does not support Horgan's stance on the issue. The council believes he is operating outside his provincial jurisdiction because cross-border infrastructure projects, the shipment of goods intended for international trade and protection of B.C. 's coastal marine environment are all under federal jurisdiction, not British Columbia's. "We think, and we hope the Trudeau government will step forward and take ownership of this matter," Finlayson said. "Ottawa has to take the lead here and we will certainly be putting pressure on them to play that role." Prime Minister Justin Trudeau and his government have disclosed little information about what their next step might be. Quiz: Is it B.C. wine or crude oil?